The most lethal form of breast cancer could have a new treatment option, according to new research out of the Case Comprehensive Cancer Center at Case Western Reserve University School of Medicine. In the Proceedings of the National Academy of Sciences, researchers showed triple-negative breast cancer cells are highly vulnerable to interferon-β — a potent antimicrobial that also activates the immune system. The new study shows interferon-β impairs breast cancer cells’ ability to migrate and form tumors. The study also suggests interferon-β treatment could improve outcomes for certain breast cancer patients. Doherty’s advisor, Mark Jackson, PhD, associate professor of pathology and associate director for training and education, Case Comprehensive Cancer Center at Case Western Reserve University School of Medicine, is senior author on the study. 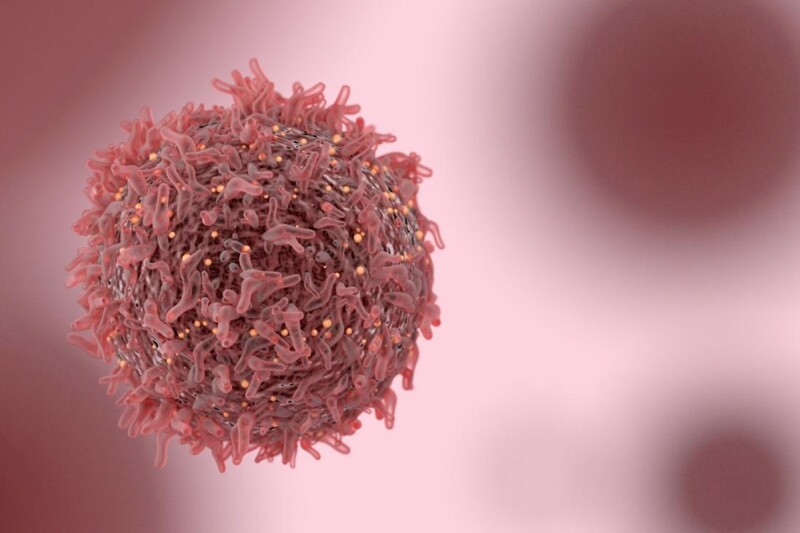 The study team also included researchers from Cleveland Clinic Lerner Research Institute, University Hospitals Cleveland Medical Center, Stanford University School of Medicine, and other members of the Case Comprehensive Cancer Center. The new study showed interferon-β directly targets cancer stem cells. In laboratory dishes, regular treatments of interferon-β kept triple-negative breast cancer stem cells from migrating — the first step in metastasis. Even two days after stopping treatment, dishes with interferon-β added had approximately half the number of migrating stem cells as controls. Cells exposed to interferon-β also lacked markers characteristic of early tumors and failed to aggregate into tumor-like spheres. The researchers validated their laboratory findings using a breast cancer tissue database. They found elevated interferon-β levels in breast tissue correlated with extended patient survival and lower cancer recurrence rates. Patients with higher interferon-β levels in their breast tissue were approximately 25 percent less likely to experience a recurrence than those with low levels. The authors concluded that interferon-β plays a “positive, critical role” in triple-negative breast cancer outcomes. The researchers are now studying how interferon-β may modulate the immune system to carry out its anti-cancer effects. They also plan to conduct clinical trials evaluating interferon-β as a new therapeutic option for triple-negative breast cancer, either alone or in combination with traditional chemotherapy. Such a study could require novel methods to deliver interferon-β to breast cancer tumors. Said Doherty, “Our future studies will examine improved methods of interferon-β delivery to the tumor site incorporating nanoparticle technology.” Together, the studies could expand treatment options for patients suffering from drug-resistant breast cancers.